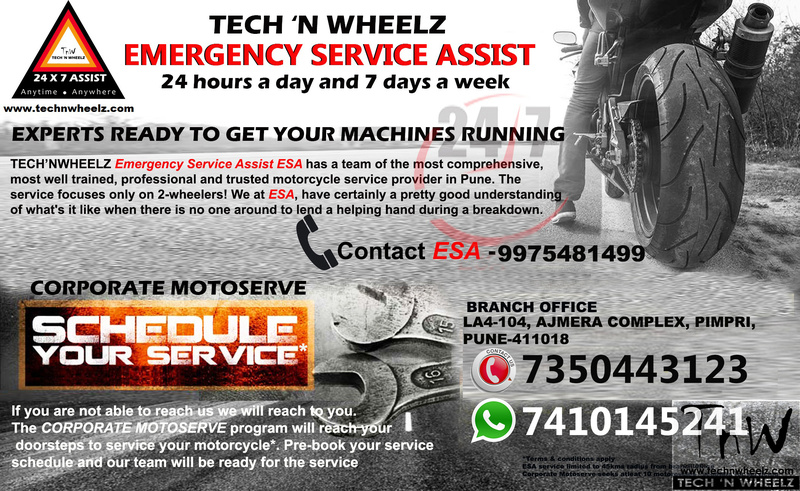 technwheelz announces , ESA- Emergency Service Assist* for 2-wheelers of all kind. Technwheelz ESA has a team of the most comprehensive, most well trained and professional motorcycle experts who have a pretty good understanding of what’s it like when there is no one around to lend a helping hand during a breakdown. We also provide CORPORATE MOTOSERVE- wherein you can schedule the time* of your 2-wheeler servicing. We will be at your place for servicing your 2-wheeler. Pre-book your service schedule and our team will be at your doorstep for service.